Hey Folks! I've been knitting a lot more than I've been sharing lately, and I've got loads of FO's to show off! I'll Post them all over the next few days. 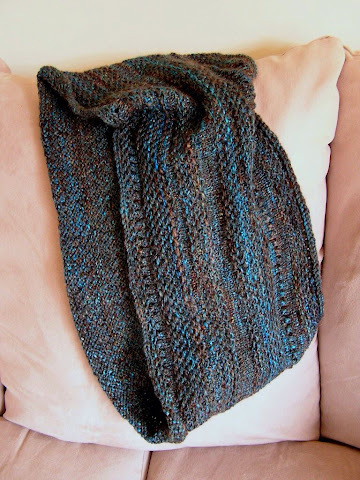 I decided to knit this popular free Madelinetosh pattern with some of my handspun. 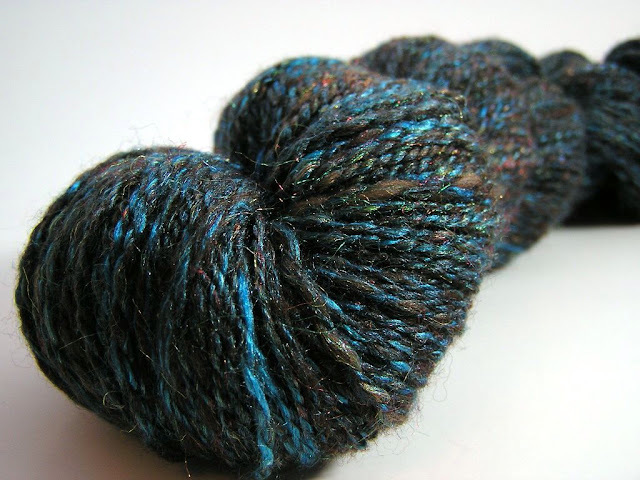 This skein, which was originally a pair of batts from Corgi Hill Farms, is my number-one-all-time favourite handspun and I wanted a pattern that would show it off and use the entire skein. 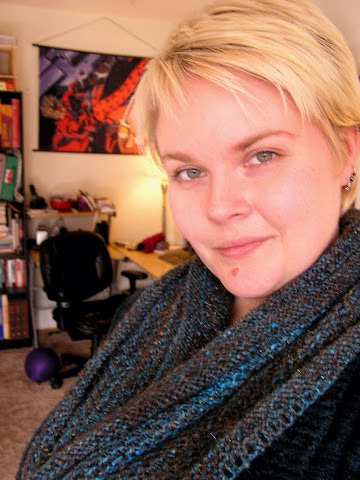 I figured the Honey cowl would be perfect, and have the added bonus of being close to my face where I could snuggle it! After a few false starts (twisted my cast-on at least once, which is surprisingly easy to do over 200+ stitches) I got a few inches of the cowl done and promptly became totally bored with the honeycomb slipped-stitch pattern. Adding blocks of stockinette, with occasional eyelet rows, made all the difference! I think it showed off the yarn really well too. 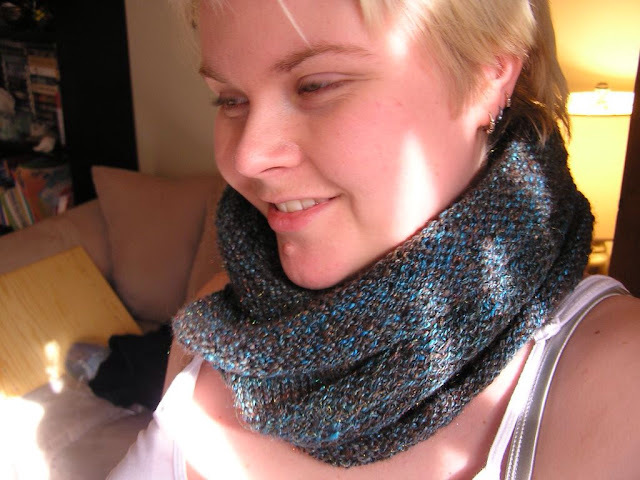 I really recommend this pattern to anyone looking for stylish winter accessory and a mindless knit!